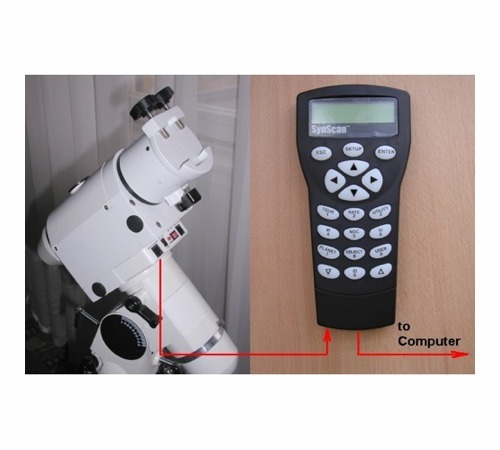 Computerized german equatorial SkyWatcher EQ5 SynScan mount with SynScan hand control, dual-axis motor, polar scope and tripod. 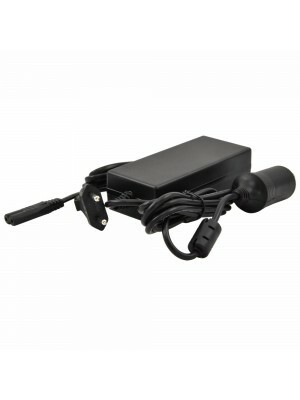 3 years warranty and 12V power supply included in the price! The SkyWatcher EQ5 SynScan mount is perfect for those looking for a reliable and safe for your compact telescope or even for those looking for a mount easily transportable in the case of long or frequent travels in search of dark skies. It's also the best choice for those who want to buy a computerized mount with good load capacity but low price. Who wants to start photographing the sky often looks for not too expensive instruments but that can provide high performance and good load capacity, for example, to support a compact apochromatic telescopes. The SkyWatcher EQ5 SynScan mount offers all of this at an affordable price, and is therefore perfect for beginners but also for those looking for a "travel" instrument, maybe to use instead of their high load mount (that sometimes can be too heavy in trips). The SkyWatcher EQ5 SynScan mount offers 10 kg load capacity for visual use and planets, Moon and Sun photography. Then it can support medium size optical tubes such as Newtonians up to 200mm in diameter. For use in long-exposure astrophotography, we suggest the use of optical tubes up to 6 kg with focal lenght up to 600mm. For example it can be used to photograph galaxies, nebulae or star clusters with apochromatic refractors up to about 80mm in diameter.